It is customary for a man to gift the love of his life a bouquet of flowers on Valentine’s Day (the price hike on this tho…), but what about a girl’s gift to the man? I don’t know. A Playstation 4 perhaps? Or maybe a sleek iPhone cover like this? 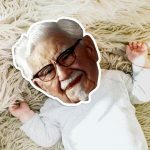 But for New Zealanders, particularly those who have an insatiable appetite for the “Finger Lickin’ Good” fried chicken, perhaps a bouquet of KFC’s fried chicken would be suffice. After all, it was said that the way to a man’s heart is through his stomach, isn’t it? 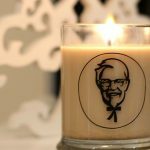 Then again, that is only true if the man in question fancies KFC, like a lot. 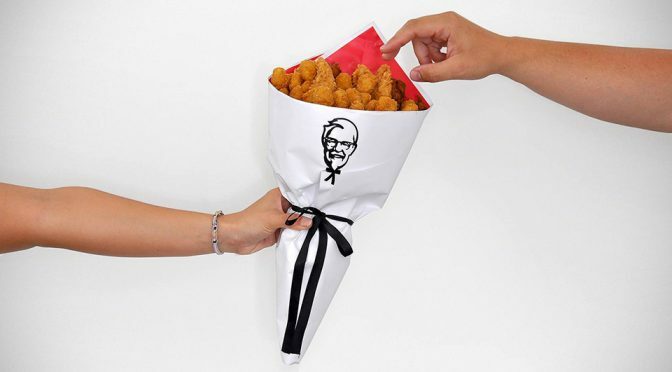 And if he do, the special man and lady will have to be in New Zealand where this unique Valentine’s Day bouquet is known to exist. Also, some luck will be required too. 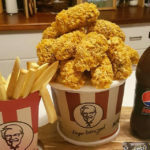 It’s ok if you didn’t win, or you are not in New Zealand because you can always build your own by buying a bunch of popcorn chicken, chicken strips and drumsticks, and pack them all into a bouquet-like package. Who knows? It could be cheaper option to buying a bouquet of roses on this day and you’d be killing two birds with one stone.